Some people find certain people or things weird compared to others; that’s just the way we human beings are. BUT we all have our inner lines that are crossed with just a little too much strangeness. Get ready to have your limit tested! These images are weird and not all that wonderful – if anything, they’ll leave you feeling a bit squirmy in your seat. It’s only fair that we warn you that these pictures may stay with you for some time… and not for the better! How does the saying go again, what doesn’t kill you makes you stronger? 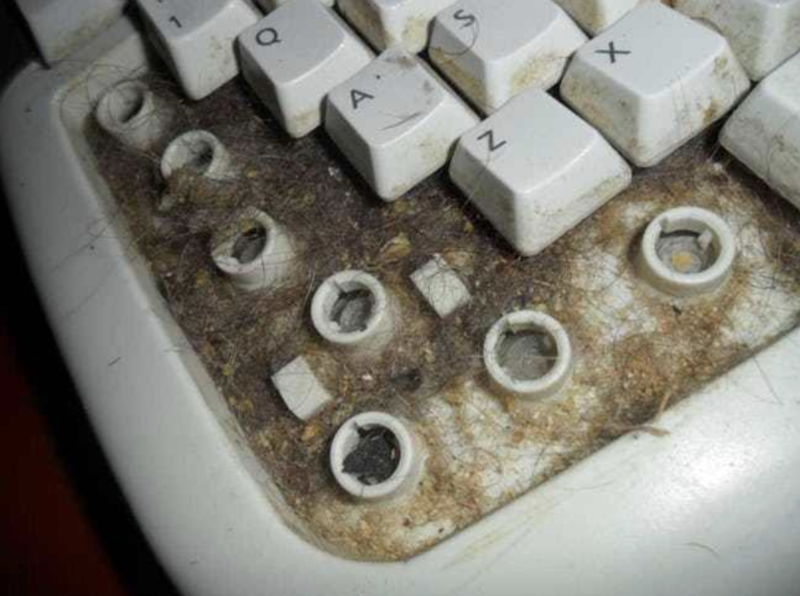 A keyboard is something that barely anyone cleans, but you have to admit that this is just next level disgusting! I guess that the space button wasn’t working as well as it should have. Go figure! We told you to brace yourself! I don’t even have any words for what is happening here.